Saturday, 7 October 2017 | 10a.m. to 3p.m. 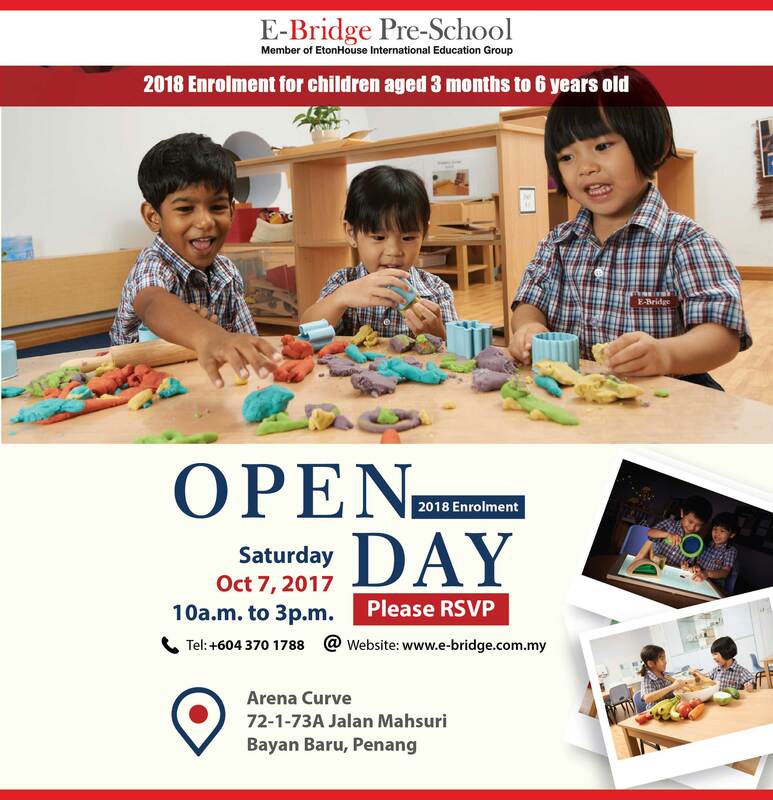 Come and discover and experience for yourself why E-Bridge is the best choice for your child. Have a chat with our Director of Pedagogy from Singapore on strategies to support your child’s learning and development.